Metronomy - Love Letters. Vinyl LP, CD. Metronomy. UK four-piece Metronomy ready their fourth LP Love Letters on their familiar outpost Because Music. The release is a classic electronic-pop album, carrying a warm sound and laced with nostalgia. 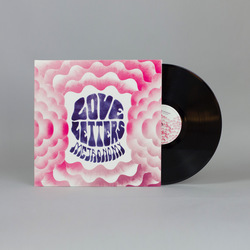 The piece’s title track ‘Love Letters’ is a playful, sing-a-long track with a catchy, piano riff and a steady tambourine to keep the beat in check. More futuristic is ‘I’m Aquarius’, unfolding over a simplistic drum machine beat and celestial synth patterns.